Being a scientist isn't just about wearing a lab coat and performing science experiments in test tubes. It's about looking at the world and trying to figure out how it works. 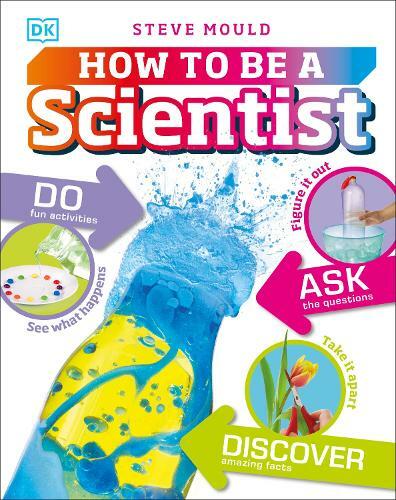 As well as simple science experiments for kids to try, How to Be a Scientist will teach them how to think like a scientist and ask questions including: why doesn't pineapple jelly set, how do you grow your own crystals, and how does a black and white image turn to colour? For every scientific concept the child learns they will be encouraged to find new ways to test it further. Fun questions, science games, and real-life scenarios make science relevant to children. In How to be a Scientist the emphasis is on inspiring kids, which means less time spent in stuffy labs and more time in the real world!